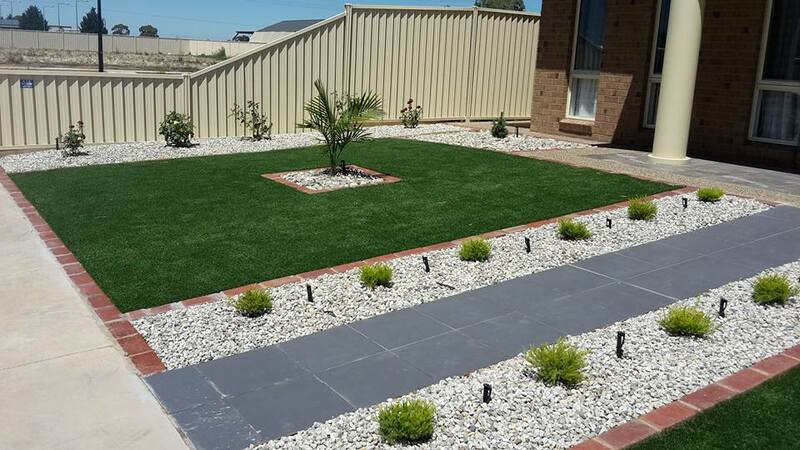 If you are looking for landscaping with a difference, then Goulburn Valley Sprinkler and Landscaping is the company who can fulfil your needs. We have 15 years of industry experience and our qualified landscapers are able to design your garden to your specific dimensions, creating the backyard of your dreams. Our aim is to make your back and front yard a masterpiece as we employ professional landscapers, who are committed to quality customer service. Also, our team is experienced in completing a range of tasks such as irrigation and installing artificial turf, as well as hardscaping projects that involve pathways, walls and benches. Keep reading to find out how we can assist you! At Goulburn Valley Sprinklers and Landscaping, environmental sustainability and keeping our planet healthy is our priority. Hence, we use first class irrigation systems that will keep your garden hydrated and looking fresh no matter what time of the year. Furthermore, if you are sick and tired of mowing your lawn, we are able to install artificial turf that is a perfect size and shape for your chosen area. We guarantee that we will stand by you every step of the way, from design and installation to repairs and maintenance, we ensure that your yard remains neat and tidy. Irrigation and Landscaping from small domestic to larger commercial work, no job is too big or too small. We understand the importance of a professionally implemented irrigation system to keep your grass lush and green. Maintaining your irrigation system is just as important as the initial installation, to ensure that it keeps functioning at its highest standard. Irrigation systems need servicing so that damages such as broken pipes and damaged wiring are avoided. Furthermore, if you already have an irrigation system in place and have an emergency, we offer quick response and repair to your system. We have all of the equipment we need to get your Goulburn irrigation system operating as good as new. So if you are curious about how we can help you, do not hesitate to give us a call, and find out about how we can assist you!